I have previously announced that Geocities, which hosted my website http://www.geocities.com/dagtho/, was to be closed as of 26 October 2009. My new website can now be found at http://www.hoelseth.com. It will take some time, however, before all the subpages from my old website will be up and going at my new website, so please have some patience. I will inform you when the most important pages are added, such as Hoelseth's Royal Corner and Norwegian Football Players Abroad Past & Present. Scanned versions of the Norwegian church books (records of births and christenings, confirmations, marriages, deaths etc.) have been available at Digitalarkivet.no since 2005. Now the scanned versions of the probate records will soon be available. A test version was published already today, 28 October 2009. The new service will offer navigation in and presentation of the scanned material of probate records. The service is based on the records that are already microfilmed, but will later be expanded to also include the rest of the records, which have to be scanned from the original. Riksarkivet (The Norwegian National Archives) have scanned the micro films, while the indexing of the pictures is done in a common effort between the National Archives and the state (regional) archives. In the indexing catalogue data, page types and page numbers are connected to each picture. The goal is to make it possible to leaf through the scanned pictures. The distinction between page types makes it possible to make links directly to the register pages of the probate protocols, where such exists. The page number indexing opens for the possibility to go directly to a certain page in the protocol, if one already knows the page number of the probate record one is interested in. The service also gives the possibility to use the transcribed and searchable probate registers in Digitalarkivet. The probate records protocols which are included in the searchable registers, have links to those registers. In reverse order there are links from each administration of an estate (person) in the register to the relevant page in the protocol. It should be stressed that it is not possible to make a search in the text of the scanned pages. Riksarkivet’s microfilm collection of probate records covers civil, clerical and military estate administrations from the middle of the 17th century to some years into the 19th century. The last year of the microfilmed material vary from district to district, but there are relatively few probate records younger than 1850 that are microfilmed. Riksarkivet’s microfilm collection of deaths protocols is also included in the new service. This material only includes Oslo, Bergen and the counties of Akershus and Østfold. Some of the protocols include records up to around 1970. A user’s guide in English will surely be available later. It shouldn’t be necessary to stress what an impact the scanned version of the probate records will have for genealogists. Even if the records are not searchable, it will be much more convenient for most people to go through the records at home instead of having to travel to the nearest archives. Participants in Digitalarkivet's discussion forum have already described the new service as Christmas Eve in advance! 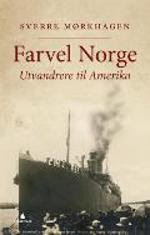 The publisher and former journalist Sverre Mørkhagen has recently finished his first volume on the Norwegian emigration to America, «Far vel Norge. Utvandringen til Norge 1825-1975» («Farewell, Norway. The Norwegian emigration to America 1825-1975»). It is the first larger work on the Norwegian emigration in 30 years. In the book Mørkhagen claims among others that the numbers of emigration from Norway to America were much higher than earlier estimated, perhaps as many as a million Norwegians are believed to have left their homeland between 1825 and 1875. The book, which is published by Gyldendal Norsk Forlag, is 660 pages long and is priced at NOK 449. In connection with the new book the Norwegian National Library has opened an exhibition about the Norwegian emigration history and all the literature that has been published about the topic. Norsk-amerikansk samling - «Norwegian-American Collection» has the most complete collection of Norwegian emigration literature in the country, covering both fictional and non-fictional works. Earlier major works on the Norwegian emigration to America were written by Ingrid Semmingsen («Veien mot vest», 2 vol., 1941-1950), Theodore C. Blegen («Norwegian migration to America 1825-1860») and Odd Lovoll. Updated Tuesday 27 October 2009 at 08:25. Obituary. The Times 8 December 1869. Maria Caroline Augusta de Bourbon, Duchess d’Aumale, whose death was yesterday briefly announced in these columns, was a daughter of Leopold, Prince of Salerno, of the Neapolitan branch of the Bourbons, and of Marie Clémentine, an Archduchess of Austria. She was born at Vienna on the 26th of April, 1822, and passed the early years of her life at the Court of Vienna. There, too, she was first introduced to the world under the care of her mother, the Princess of Salerno, and of her godmother, the Empress Caroline, third wife of her grandfather, Francis I. of Austria. She was, therefore, by her mother’s side a niece of the Empress Marie Louise, and a niece in the second degree of Queen Marie Antoinette. The young Princess was in the bloom of youth when her family returned to take up their residence at Naples, and negotiations were opened in more than one quarter for her marriage. Her choice fell on the fourth son of King Louis Philippe, Henri d’Orleans, Duc d’Aumale, and heir of the House of Condé, a Prince of about her own age, but who had already, at 22, acquired no common distinction in the world by a brilliant campaign in Algeria, and especially by his exploit of the capture of the Smalah of Abd-el-Kader. The Duke and Duchess d’Aumale were married at Naples on the 25th of November, 1844. Their lot was destined to great vicissitudes of fortune - to splendour, to exile, to celebrity, to retirement, to great enjoyments and great sorrows, to distant journeys and to the simplicity of domestic life; but in all these changes and accidents the Duchess bore her part with an entire and devoted sympathy in the fate of her husband. Several children were born of this marriage, which has just been thus prematurely terminated. But of these one only survives, the young Duc de Guise, born at Twickenham on the 5th of January, 1854, now the last representative of the Condé branch of the French Royal Family. Of the other children of this marriage two boys died in infancy. The eldest, known as the young Prince de Condé, who was born at St. Cloud on the 15th of November, 1845, was a young man of singular promise; but he, too, was pursued by the fatality which seems to have attached itself to that illustrious name. Having sailed on a voyage to the Australian colonies and the further East, he caught a typhus fever at Sydney, and died there, a few months after he had left England, on the 24th of May, 1866. From the loss of her firstborn, under those painful circumstances, the Duchess d’Aumale never wholly recovered, and in her last hours the thought of rejoining her son appeared to allay the pang of parting from those she loved on earth for ever. In the earlier years of their married life the political and military duties of the Duc d’Aumale in the service of France fixed his residence as Governor-General in Algeria, where his young wife accompanied him, and where her name and his are not forgotten. The events of February, 1848, drove them into exile, and fixed them in this country, which they have from that time regarded as their home. It will be remembered hereafter to the honour of the Princesses of the French Royal family with what remarkable dignity and resignation they accepted an altered position, and among them the Duchess d’Aumale was conspicuous for the part she took in the pursuits and the amusements of her husband. She accompanied him to Spain, to Sicily, to Switzerland, to the East. She even shared his taste for the hardier sports of the field. She presided over the liberal hospitalities of Twickenham; but in latter years her favourite residence and mode of life was at Woodnorton, the Duc d’Aumale’s farm near Evesham, in Worcestershire, where she enjoyed without alloy the pleasures of English country life and the undivided society of her husband and her surviving son. Nor did she take a less cordial share in the political interests of the illustrious family to which she belonged, both by birth and marriage. She had adopted with them the proud motto, “J’attendrai,” and if she lived not long enough to see again the land of France, she waited at least in resignation and hope until the will of Providence removed her to another world. Conscious of the danger attending the malady from which she had been suffering for the last six weeks, she called on Sunday for the last sacraments of the Church, received them with devout piety, and on the following day, blessing her son, and with her eyes still fixed on him who had been to her the supreme object of all earthly affection, gently expired. Court Circular, The Times 8 December 1869. The Queen received last evening the melancholy intelligence of the death of the Duchess d’Aumale. Her Majesty, accompanied by Princess Louise, paid a visit of condolences to his Royal Highness the Duke d’Aumale, at Orleans House, Twickenham (where all the other members of the family were assembled this afternoon. Her Majesty travelled by a special train on the South-Western Railway to Twickenham, and returned to Windsor Castle at 5 o’clock. The Countess of Caledon and Lord Charles Fitzroy were in attendance. Princess Marie Caroline Auguste of the Two Sicilies, b. at Vienna 26 April 1822, d. at Twickenham, Middlesex 6 December 1869, buried first at Weybridge, transferred to Dreux in 1876. She was the daughter of Prince Leopoldo of the Two Sicilies, Prince of Salerno (1790-1851; 6th son of Ferdinando IV, King of Naples and Sicily), by his wife and niece Maria Clementina Francesca Guiseppa (1798-1881; 6th daughter of Franz I, Emperor of Austria). She married at Naples 25 November 1844 Henri Eugène Philippe Louis, Duke of Aumâle (b. at the Palais Royal 16 January 1822, d. at Zucco, near Palermo 7 May 1897; buried at Dreux), a distinguished soldier, Inspector-General of the French Army 1879, exiled from France 1886, historian, author of «History of the Princes of Condé», member of the French Academy, Kt. Spanish Order of the Golden Fleece. The surviving son (of 4), François Louis Philippe Marie, Duke of Guise, born at Twickenham, Middlesex 15 April 1854, died in the Faubourg St. Honoré, Paris 25 July 1872, and was buried at Dreux. Obviously the Duke d’Aumâle was the fifth, not the fourth as The Times writes, of Louis Philippe I, King of the French (1773-1830-1848-1850). (first time published on Thursday 6 March 2001). The representatives of the nation, as interpreters of your ideas and feelings, and wishing to crown the fiftieth anniversary of my reign by an act which will reward my good people for their long struggles, their courage, their sacrifices and heroic deeds, and considering the glorious past of our country, which gave the first powerful and recognized King to a Servian land, have, in their session of today, unanimously voted a proposal that this ancient Kingdom should be restored, and that I should receive the dignity of King. After accepting this proposal of the National Assembly and sanctioning it by my signature, in the name of God I proclaim our country a kingdom, and myself by the Divine grace Hereditary King of Montenegro. In informing my beloved people of this, I invoke the Divine blessing on our land, and I pray All-powerful God to bless our country, so that this act may be for the happiness, glory, and greatness of Montenegro. Given in our capital of Cettinjé on Great St. Mary's feast day (28th August) 1910. British and foreign state papers. 1912, Vol. 105, London: Foreign Office, 1915, p. 992. (first time published Saturday 27 March 1999). Cettinjé 15 (28) August 1910. The Principality of Montenegro is proclaimed Kingdom of Montenegro. Prince Nicholas I Petrovitch Niegousch is proclaimed, by the grace of God, Hereditary King of Montenegro. The King and Queen shall have the title of «Majesty». The Hereditary Prince Danilo is proclaimed the heir to the Throne of Montenegro. The Hereditary Prince, the Hereditary Princess, and their children shall have the title of «Royal Highness». All the other children, male and female, of Their Majesties shall receive the title of «Royal Highness», and the grandchildren of the latter the title of «Highness». This law comes into force when signed by the Prince Gospodar, and in all the laws of the land the words «Prince» and «Princely» shall be replaced by «King» and «Royal». Cettinjé, 15 (28) August 1910.
of Ministers and Minister for Foreign Affairs. Brigadier Mitar Martinovitch, Minister of War. Dushan Vukovitch, Minister of Finance. J.C. Plamenatz, Minister of the Interior. P. Vukovitch, Minister of Education. British and foreign state papers. 1912, Vol. 105, London: Foreign Office, 1915, p. 991. His Majesty King Mihai I of Rumania rendered exceptionally meritorious conduct in the performance of outstanding service to the cause of the Allied Nations in their struggle against Hitlerite Germany. In July and August, 1944, his Nation, under the dominance of a dictatorial regime over which the King had no control, having allied herself with the German aggressors, he, King Mihai I, succeeded in giving purpose, direction and inspiration to the theretofore uncoordinated internal forces of opposition to the ruling dictator. In culmination of his efforts, on 23 August, 1944, although his capitol [sic] was still dominated by German troops, he personally, on his own initiative, and in complete disregard for his own safety, gave the signal for a coup d'etat by ordering his palace guards to arrest the dictator and his chief ministers. Immediately thereafter, in an inspired, country-wide radio address, he proclaimed to the Nation his decision to release Rumania from the Nazi yoke and called upon his Army to turn upon the German troops, and to kill, capture or drive them from the country. Confronted wit this forthright and aggressive action on the part of the sovereign, the response of the Rumanian people and the Rumanian Army was wholehearted and immediate, with the result that, in the space of a few days, the greater part of Rumania's territory was liberated from Nazi control, and the main line of German resistance on the Southeastern front was withdrawn over five hundred kilometers to the Northwest. By his superior judgment, his boldness of action and the high character of his personal leadership, King Mihai I has made an outstanding contribution to the cause of freedom and democracy. King Mihai I was awarded the Legion of Merit in 1946. «Citation for the Legion of Merit», 1946, annex to «His Majesty King Michael of Romania. Biographical notes», enclosed in the letter from the Secretariat of H.M. The King of Romania to Dag T. Hoelseth, dated 28 June 1993. The citation can also be found at Thomas.loc.gov . (first time published on Thursday 6 October 2005). By our ancestors on the throne, it has been considered a fundamental principle of the Government, that the countries which are subject to the Danish sceptre must not be disunited or separated from each other. In accordance therewith, our well- beloved father, His Majesty the late King Christian VIII, of glorious memory, when he found himself constrained to make some declaration respecting the state of the Succession to the Danish Monarchy, gave to all his faithful subjects, in the Letter-Patent of 8 July 1846,(*) signed by us as Crown Prince at that time, the assurance that his constant efforts had been and should be directed to cause the integrity of the Danish Monarchy to be fully recognized so that the different parts of the country united under his sceptre should never be separated. During the convulsions which, soon after Divine Providence had called us to the throne of our ancestors, threatened in several European States to overthrow the foundation of civil Society, and which subsequently, penetrating within the boundaries of our Monarchy, placed its integrity in the greatest danger, we trust that we maintained it with unshaken constancy, as an object, the attainment and preservation of which had been transmitted to us by our ancestors on the throne, as the chief aim of the Government of the Danish King. But as the perpetual maintenance of the Monarchy depends upon one common Succession Law for all its parts, and as the efforts of our late beloved father and our own to enlarge the Succession valid in our Kingdom of Denmark, in our Duchy of Schleswig, indissolubly united with the Danish Crown, and also undoubtedly so in other parts of the Monarchy; and to cause to be recognized as binding on the whole Monarchy the female Succession established by the Royal Law for the eventuality, in which, by the inscrutable will of Providence, the male line of the late King Frederik III, now reigning over the whole Monarchy, should become extinct, did not lead to the attainment of our intended object; we must acknowledge that the most suitable means to prevent the dissolution of the Monarchy will be to promulgate for the above-mentioned eventuality a new Law of Succession valid for the whole extent of the Monarchy which shall repeal the provisions for the Succession in the Royal Law, and to cause the same to be recognized in public law. After the way to this object was paved, partly by the friendly goodwill with which His Majesty the Emperor of Russia, in his quality of head of the eldest line of the House of Holstein-Gottorp, renounced in favour of His Highness Prince Christian of Schleswig-Holstein-Sonderburg-Glücksburg, and his male descendants the hereditary claims on a part of our hereditary dominions, which His Imperial Majesty assumed to belong in the above-mentioned eventuality to the aforesaid line; and partly by the magnanimous readiness with which our relatives standing nearest the Throne have, in order to promote the attainment of this object, relinquished their right of Succession to the same, we have determined, with the concurrence of our well-beloved uncle His Royal Highness the Hereditary Prince Frederik Ferdinand, in case the male line of Succession from King Frederik III should become extinct, to abrogate all rights of Succession according to the Royal Law, and, excluding the female line, to call to the Succession to the Throne of all the countries subject to our sceptre, our well-beloved kinsman His Highness Prince Christian of Schleswig-Holstein-Sonderburg-Glücksburg and his male offspring of his wife, our well-beloved cousin Her Highness Princess Louisa Wilhelmina Frederica Caroline Augusta Julia, of Schleswig-Holstein-Sonderburg-Glücksburg, born Princess of Hesse. Whereas, also, by the Treaty concluded on the 8th May, 1852, and afterwards ratified, between His Majesty the Emperor of Austria, King of Hungary and Bohemia, the (at that time) Prince President of the French Republic and now Emperor of the French, Her Majesty the Queen of the United Kingdom of Great Britain and Ireland; His Majesty the King of Prussia, His Majesty the Emperor of Russia, and His Majesty the King of Sweden and Norway; and by the adhesion to the same of most of the European Powers, obtained in consequence of the invitation made to them by the communication of Article IV of the Treaty, - we have succeeded in procuring the acknowledg[e]ment of the indivisibility of the Danish Monarchy as a perpetual maxim of European public law, and also the recognition of the order of Succession established by us; and whereas, finally, the United Danish Diet, in accordance with paragraph 4 of the Fundamental Law of the Kingdom of Denmark, of the 5th of June, 1849, has, by its decision of the 24th of June, 1853, assented, as far as it is concerned, to our proposal addressed to it with respect to the Succession contemplated by us, we are now enabled by the publication of a Law of Succession, applicable to our whole Monarchy and valid for all its parts, to complete this work which has so long been the object of our sovereign efforts. Art. I. In case the male offspring descending from King Frederik III by the male line which, in accordance with the Royal Law issued by the same King on the 14th of November, 1665, has a right of Succession to the Danish Throne, should by God’s inscrutable will become extinct, all rights of Succession, according to Articles XXVII to XL of the above-mentioned Royal Law, shall be abrogated, and only male from male, with the exclusion of females, shall have a right of Succession over the countries united under our sceptre. The right of Succession to the Throne shall then pass in all these countries to our well-beloved kinsman, His Highness Prince Christian of Schleswig-Holstein-Sonderburg-Glücksburg, to whom we from this time have granted the title of Prince of Denmark, and to his male offspring by his Consort our well-beloved cousin Her Highness Princess Louisa Wilhelmina Frederica Caroline Augusta Julia of Schleswig-Holstein-Sonderburg-Glücksburg, now Princess of Denmark, born Princess of Hesse. Art. II. In this offspring male after male and male from male, begot in lawful wedlock, the Crown shall descend according to the right of primogeniture and lineal agnatic Succession. Art. III. In case (which God forbid) imminent danger should arise that the Princely male line called in this manner to the Succession to the Throne should become extinct, our successor on the Danish Throne reigning at the time shall be bound to provide for the further settlement of the Succession to the Throne by means which shall best secure the independence and integrity of the Monarchy, together with the rights of the Crown, and which shall obtain an European recognition of such settlement in conformity with Article II of the above-mentioned Treaty, concluded at London on the 8th of May, 1852. This law respecting the Succession to the Throne for the whole Danish Monarchy, which we have had drawn up in the Danish and German languages and paraphé by our well-beloved uncle His Royal Highness the Hereditary Prince Frederik Ferdinand, and by all the Superior members of our Privy Council of State, we have hereby promulgated and completed. And it is our will that the original shall be deposited for preservation in our secret archives. After which, all and every one have to conform themselves submissively. Given at the Palace of the Hermitage, the 31st July, 1853, under the hand and seal of the King. (*) See British and foreign state papers, Vol. XL, page 1261. The only change I have made to the translation of the above-mentioned Royal Resolution is the use of Danish personal names. The Law of Succession does not explicitly state that consent to marriage can be made conditional. Nonetheless, it seems to be the general interpretation that this is possible. It was, indeed, the stated purpose by Constitutional Commission (of 1946) in its justification of the suggestion on Pg. 5, 3 in the Law of Succession that some form of conditions may be required for giving consent to the marriage of a dynast: “The consent [for the marriage of a dynast] given by the Rigsdagen [i.e. two chambers of the parliament] may, however, depending upon the circumstances, be able to be made conditional upon that the children born in the marriage and their descendants either do not obtain succession rights to the throne at all or, at least, must be secondary to other dynasts.” (Betænkning: 71). Neither the Constitutional Commission nor the Law of Succession itself has stated that conditions can be required to be fulfilled in order to maintain succession rights. This has, nonetheless, been the interpretation of the Council of State, including King Frederik IX, in 1967. It has also been the interpretation of several prominent constitutional scholars (e.g., Sørensen 1973: 61-62; Ross 1983: 561n6). Most recently, in November 1997, it has been the interpretation of the Lovafdeling (i.e. “Law Department”) of the Danish Ministry of Justice in a responsum. At no point has the interpretation of the Law of Succession as admitting for conditional consent been challenged. First, the possibility of conditional consent creates the potential for considerable uncertainty as to who has succession rights and who does not, as witnessed by the public confusion as to whether the children of Princess Benedikte were in line of succession or not. When exactly, for example, would it be the case that Princess Benedikte's children “lost” their rights of succession? Was it on the day of reaching the age of mandatory schooling? Or that year? Or what if they had come, say, two years later and inquired about their succession rights? The most important objection would seem to be that Princess Benedikte’s children were in possession of succession rights, accorded to them by the Law of Succession - which has the status of a constitutional document and with the corresponding requirements for change - but that they were deprived of these, by a part of the executive branch - without any ruling by the body constituting the ‘constitutional’ court, the Supreme Court and even without any public act noting the change in the line of succession. Most importantly the original consent was given by one part of the executive branch - the Council of State - and later supported by another - the Ministry of Justice – none of which can themselves change the constitutional rules. Furthermore, such a change took place, supposedly, while the children were minors and due to no actions of their own. It should be noted that Prince Richard, and his and Princess Benedikte’s three children - Prince Gustav, Princess Alexandra and Princess Nathalie - all are accorded the style of Højhed (Highness) by the Royal Danish Court (cf. Kongelig Dansk Hof- og Statskalender), despite that they as members of the Princely House of Sayn-Wittgenstein-Berleburg only are Durchlaucht (Serene Highness). The style of HH does not seem to have been granted in any special act by HM the Queen [HM The King] and should probably be seen as a kind of courtesy title. There is also some precedence in Denmark for simply translating Durchlaucht as Højhed, since there is no exact equivalent in the Danish language. Notits om Prinsesse Nathalie og Prinsesse Alexandra’s arveret til den danske trone, November 11th 1997 (J.nr. 1996/310-20195). København: Lovafdelingen, Justitsministeriet. (3) Where a person entitled to succeed to the Throne enters into marriage without the consent of the King given in the Council of State, the person in question shall forfeit his right of succession to the Throne for himself and the children born of the marriage and for their issue." The Lex Regia says nothing about the consequences for seeking consent from the King. (first time published in Feb 1999). I would like to remind you that Geocities will cease to exist from 26 October this year, which means that the website I have edited since November 1998, Dag Trygsland Hoelseth, will disappear from the same time. But do not despair! I am about to start a new website where most of the pages from the current website will re-appear. I will give more information about this soon. I am currently copying all the subpages of my website and will gradually delete them all. Some articles which have been stored at my website will also be published here until the new website has been organised. It is not often that I "run into" members of the Norwegian royal family. Usually I only spot them at official events in Oslo, such as when they welcome the children's parade on the 17th of May or when foreign heads of state pay Norway an official visit. For some reason my colleagues at work seem to spot the royals by accident far more often than I do. See also Wikipedia's article about the film. The Norwegian newspaper Aftenposten stopped producing its "News in English" service in November 2008 and has been sorely missed since then. The California-born Nina Berglund, who helped found Aftenposten's English service, started working on "Views and News from Norway" shortly after the service shut down, and in May 2009 she went "full time" with the project. She can't promise the same degree of updating or coverage as Aftenposten had, but as she says at the News in English website, the news service will try to decipher the headlines and offer some independent perspectives. I was obviously not aware of the website when I wrote one of my first articles, "Royal blogs", back in August this year. But while Trond Norén Isaksen - and my blog as well - will bring the most important royal news from Norway, Nina Berglund and her staff will provide more news from Norway, something I am sure that new immigrants to Norway, foreign workers and students, visiting professors and consultants, diplomats and tourist and others who are interested in news from Norway will appreciate. Nina Berglund is running her project on "a wing and a prayer," concentrating on building up content and hoping for reader donations (there's a PayPal account on the front page) and ultimately ad sales. I can only wish her the best of luck and hope that the website will be a great success, both in terms of contents and also financially speaking. I very much welcome President Barack Obama to visit Norway. In fact, when Obama won the election in 2008, I sent him a short congratulatory note expressing my hope that he would visit Norway soon. But I would have preferred that the president of the United States came to Oslo in connection with a state visit and not in the capacity as a Nobel Peace Prize laureate, at least not so early in his administration when he has made no achievements which could defend such an award. The chairman of the Nobel Peace Prize Committee, Thorbjørn Jagland, announced on Friday 9 October 2009 that the prize for 2009 was to be awarded to President Obama for his «extraordinary efforts to strengthen international diplomacy and cooperation between peoples». 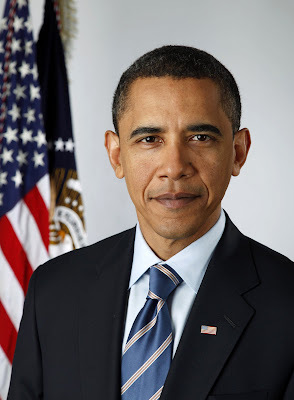 I find President Obama to be an impressive and admirable politician with the best intentions, but I share the view many have expressed so far that it is far too early for him to be awarded such a prize, especially when there are so many other – and better qualified - persons who were nominated. Now I know that it has not been uncommon in the past to award the prize as an inspiration to continue the work for peace, but good intentions and a string of vague speeches should not be enough to qualify. So far it has been more talk than actions and results. Now I am not saying that it has only been about rhetoric so far and little or no substance, but Obama has in my opinion so far not taken that many initiatives on the world arena that make him worthy. I am afraid that this year’s decision has only contributed to weaken the prestige of the Peace Prize even further, especially after the committee in the last few years have made so many controversial choices. The committee has become a laughing stock, something for instance comments made by Michael Binyon in The Times demonstrates. We all had deserved better. I hope it was more than rhetoric when President Obama in his comments to being awarded the prize said that «I do not view it as a recognition of my own accomplishments, but rather as an affirmation of American leadership on behalf of aspirations held by people in all nations and later that «I do not feel that I deserve to be in the company of so many of the transformative figures who've been honored by this prize». One still wonders what one should give President Obama if he actually achieves something one day. As of now, it is too much, too soon.